It has been argued that users can create innovations and also diffuse them peer-to-peer independent of support or involvement by producers: that “user-only” innovation systems can exist. It is known that users can be incented to innovate via benefits from in-house use. But users’ incentives to invest in diffusion are much less clear: benefits that others might obtain from their innovation can be largely or entirely an externality for user innovators. Of course, effective distribution of information products can be done near-costlessly via posting downloadable content – for example, software – on the Internet. However, potential adopters must still learn about the product and trust its qualities. In producer systems, this aspect of diffusion is heavily supported via the creation of trusted brands. It has been shown that brands help to increase awareness, to communicate a product's benefits, and to reduce perceived risks of adoption. The development of brands by producers is traditionally seen as a very costly exercise – unlikely to be thought of as worthwhile by users who expect little or no benefits from the diffusion of their innovations to others. In this paper the authors explore the creation of a strong and trusted brand by the Apache software community – and find it was created costlessly, as a side effect of normal community functioning. The authors think the costless creation of strong brands is an option that is generally available to user innovation communities. As they propose, it supports the existence of robust, user-only innovation systems by helping to solve the problem of low-cost diffusion of trusted user-developed innovations. Featured Research: The Value of Crowdsourcing: Can Users Really Compete with Professionals in Generating New Product Ideas? Today I am happy to present you another paper in our series of recommendable reads: A study by two fellow researchers on the question whether or not crowdsourcing is "worth it". Also, thank you all for the great feedback on this new series! I will continue to introduce new papers over the next weeks. The Value of Crowdsourcing: Can Users Really Compete with Professionals in Generating New Product Ideas? Generating ideas for new products used to be the exclusive domain of marketers, engineers, and/or designers. Users have only recently been recognized as an alternative source of product ideas.Whereas some have attributed great potential to outsourcing idea generation to the “crowd” of users (“crowdsourcing”), others have been more skeptical. Our colleagues Marion K. Poetz from Copenhagen Business School and Martin Schreier from Bocconi University join this debate by presenting the first real- world comparison of ideas actually generated by a firm’s professionals with those generated by users in the course of an idea generation contest. For their research, the two scholars coopersated with the MAM Group, a leading company in the baby products. MAM is based in Austria and sells more than 40 million baby products sold each year, being the market leader in many countries, It especially has positioned itself as the firm that is highly capable of designing leading-edge baby products (as demonstrated by several international design prizes). In their study, Martin and Marion first faciliated a company-internal idea generation process (i.e., ideas generated by professionals) that led to a total of 51 ideas. 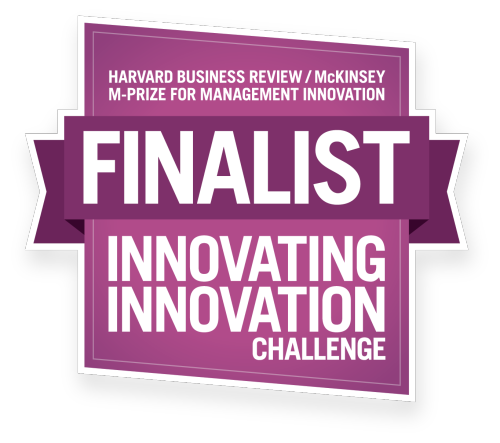 Users and customers, in contrast, were invited to submit their new product ideas via an online ideation contest. The incentives for participation were a cash prize of €500 for the winning idea and 50 noncash prizes to be raffled off among participants. Overall, 70 users participated in this idea generation contest. As the table shows, Marion and Martin find that on average user ideas score higher in novelty and customer benefit, but lower in feasibility. Even more interestingly, they find that user ideas are placed more frequently than expected among the very best in terms of novelty and customer benefit. First, this finding is even more striking as the researchers did not use a state of the art ideation contest and invested much into external recruitment of ideas.It really shows the value of looking out of the box and engaging for your firm's periphery. However, this does not mean that a company's internal R&D people are dump and we all sjopuld better get rid of them. No! For most ideas and innovation, I strongly believe that the internal innovation function still provides the more valuable, as feasible, input of ideas. Consumers only can take a very limited number of highly novel ideas and products. But in the few times where a company really needs radical innovation, engaging with external users may be more beneficial. But these external users are often not the customers of the firm (here I find the paper a bit misleading). It are not "average" customers of a firm that come up with the really good ideas, but industry experts, young designers, lead users, and other "non-representative" people that take the opportunity of an ideation contest to pitch their idea to a potential manufacturer. And these contributors will not work for Euro500 price money in the mid term! I am happy to announce the publication of a new paper on a topic that is strongly underlying this blog: The relationship between firms and customers for innovation and value creation.This post shall be the start of a series of posts on our own papers and papers from others in the area. In an act of shameless self promotion, I start with one of our own papers. Current literature argues that firms should have strong ties to customers to benefit from increased customer retention and loyalty. Strong ties, however, have also been shown to prevent innovation, suggesting that firms should also develop weak ties to other customer groups. Our paper tries to explain this paradox. We look in situations where strong ties facilitate, rather than prohibit, innovation. Our paper is based in a seven-year longitudinal research project with a global sporting goods company. From the case we find that the paradox of tie strength results from an overly simplified view of the nature of company-customer relationships. Contrary to the established literature, we find that strong ties in the case supported significant innovation. In fact, the involvement resulted in the development of a new product with a radically different product architecture and led to one of the most successful product launches in the company’s history. To explain these findings, we introduce the nature of customer participation in a firm’s value creation processes as a new dimension of the constitution of firm-customer ties and discuss how such a kind of relationship can develop (see Figure). In addition to the known continuum of strong and weak ties, firms have to look on the nature of ties which results from different modes of interacting with customers: Firms can either select rather passive modes, where customers just response to an activity of a firm, or much more interactive relationships, where customers actively contribute and participate. We find that the latter kind of relationships can be created by a firm, and that here radical innovation despite (or better: due to) strong ties can be possible. Benedict Dellaert and colleagues recently had a great paper on a similar topic, see "Corine S. Noordhoff, Kyriakis Kyriakopoulos, Christine Moorman, Piet Pauwels and Benedict G.C. Dellaert (2011), “The Bright-Side and Dark-Side of Embedded Ties in Business-to-Business Innovation,” Journal of Marketing, forthcoming (pdf download here)." Following up on the great success of the first "Québec Seeks Solutions" conference in late 2010 I am glad to announce the Call for Problems for the next event, taking place on May 15 - 16, 2012 in Québec City, Canada. Just like last year, you are invited to submit an actual problems that you could not solve so far. In the true spirit of Open Innovation, we will use the productive atmosphere of the conference to discuss and co-create (the beginning) of a solution for the most interesting problems amongst all participants. Submitt your problems until January 13th, 2012! Innovation Problems: These problems are usually upstream of innovation, but have a significant impact on an organization’s innovation capacity. Such problems are economic, organizational, social, or political in nature. Industrial Problems: Industrial problems with a strong technical component will be submitted by companies facing innovation problems in new technology development or in product design or improvement. Large Scale Problems (with multiple components): At least one large scale problem will be the focus of a group intelligence activity that will involve all participants and will have the potential to advance understanding of the problem. This problem will be submitted by an international organization facing a number of complex innovation issues. The conference shall become a place where concrete problems of small, medium, and large companies will be discussed to deepen the understanding of the issue and to seek potential solutions. At the same time, this will become a laboratory for experimenting with and implementing open innovation. Participants shall be able to use the intelligence of experts in various fields to find solutions to specific problems. New in 2012: The main event will be preceded by a seminar on May 14 PM. This will be a great opportunity to learn more about open innovation in the company of the leading experts in the field. Also, a special workshop will be held on May 16 PM around the “seeks solutions” model and how you can use it in your local context. Further details coming soon! On November 16th, the MCPC 2011 conference kicks off at the Marriot SFO Airport, San Francisco. In this series of postings, we introduce our speakers at the business seminars of the conference. Additive Manufacturing and the opportunity for every consumer to turn any idea into a tangible product will change not just mass customization, but our dominant perspective of design and manufacturing. Learn the key facts from visionaries and business leaders in this field. Every year, consumers’ interest in customization increases and market demand for personalization is creating new opportunities for entrepreneurs as well as entrepreneurs who have an existing offering that they now wish to tailor. With the technological advancements in Additive Manufacturing (AM), commonly known as 3D Printing, individuals have the ability to add a personal touch to the things they use and love most from cell phone cases, to shoes, to accessories for their cars and more. The future of products - using software to connect consumers, designers and making devices. Ponoko Inc is the creator of Personal Factory — the world’s most advanced platform for the mass creation of custom goods. Creative consumers can turn their design ideas into custom goods on demand using Ponoko's global network of making devices. This local production reduces the environmental impact of manufacturing. So far, more than 100,000 customer designed products have been made in 15 locations throughout the USA, Europe and Australasia - everything from 3D printed jewelry to laser-cut clocks to CNC routed furniture. Just as the Internet revolutionized the exchange of digital photos, music and movies, Ponoko pioneered the exchange of digital designs, reinventing the way consumer goods are designed, made and distributed. In a future when there is a making device in every home, school and business, Personal Factory is the software that makes it easy for everyone to create custom goods. Please find the complete program at the official MCPC 2011 website. Three rapid panel presentations will provide a lot of inspiration and food for thought for small group discussions with your peers. Fluid Inc. and JELD-WEN Doors & Windows have collaborated to create a compelling and richly interactive window and door customization experience online utilizing the latest in mass customization technology. During this presentation, you’ll hear how JELD-WEN leverages technologies to inform consumer purchase decisions and provide pass through lead generation to the sales funnel. With the use of immersive customization capabilities, potential customers can now interact with photo-realistic products, zoom, multiple views, and color changes. Further, you will learn how mass customization has gone social, with JELD-WEN’s unique implementation of social shopping tools that allow consumers to customize complex products with friends online and share their designs with others. And, last you’ll understand how mass customization has proven to augment JELD-WEN’s in-store door and window displays and offered the company a non-traditional return on investment. Successful mass customization of products and services requires interaction interfaces and tools that are shaped according to the customers' heterogeneous needs. The interface design of these configuration systems becomes a decisive criterion for customer satisfaction. Besides offering a good approach to the specific customization possibilities it should help to reduce customer doubts encountered during the design process, support emotional mechanisms and persuade to make a purchase. But how are relevant customer requirements identified? What are crucial design elements that trigger an efficient interaction between the customer and the manufacturer. Paul will answer these questions in form of some guidelines resulting from his analysis of customer structures and configurator approaches in various industries. This session will focus on the different business models that are behind the mass customization trend. While mass customization can be seen as an established business model we still see often little scale in its execution. At the same time, many new ventures and established businesses alike face the challenge to establish a supply chain fitted for mass customization – and everyone seems to go through the same learning cycle again. In his talk, Brennan Mulligan will propose a solution, reflecting on his experiences in leading many successful mass customization businesses since 1993. Solution Space Development is one of the core activities of a successful mass customizer, clearly defining what it is going to offer and what it is not. The presentation will explain how Bene, a leading European office furniture provider, has developed a special approach to understand and serve the idiosyncratic needs of its customers, to develop the solution space. Karl Berger will show how different constraints work with each other, and how a of organizational layers helps to execute different solution spaces in the organization. This joint presentation is delivered by two experienced entrepreneurs in mass customization footwear, representing selve, the Germany-based category leader in the field, and Milk&Honey, a recent Hong Kong based startup. Claudia and Ilissa will first share insights into the market for customization in this field, discussing the Women’s fashion footwear market size and growth areas, global reach via online configurator, and the challenges and opportunities associated with that. Then, Claudia will share here experiences in setting up an own manufacturing plant in china, after seven years of manufacturing of high quality custom women's shoes in Italy. She will discuss the pros and cons, the do's and don'ts and her experiences of setting up and running a custom shoe factory in China. In this panel, three experienced entrepreneurs in mass customization will share their best practices on what did work and what not. Mass customization comes in many shapes and sizes. Mark Dwight employs mass customization techniques in his small messenger bag manufacturing company, Rickshaw Bagworks, based in San Francisco. Dwight founded Rickshaw specifically to pursue a strict build-to-order operational model, as opposed to the traditional build-to-stock practice common in the fashion industry. At Rickshaw, mass customization is the foundation of the product design and development process. All product platforms are based upon four key design principles: (1) Decouple function and fashion; (2) Isolate complex core functional elements in a common, mass-producible "chassis"; (3) Save product "personality" for the final assembly step; (4) Add optional functional upgrades and fashion elements from a collection of "bolt-on" accessories. Based upon this design methodology, Rickshaw produces a family of full-featured, customizable computer carrying briefcases and backpacks at very competitive prices in its San Francisco headquarters. The benefits of this strategy include: zero finished goods inventory, zero inventory risk, minimum SKU count, vastly reduced forecasting complexity, ability to outsource most of the labor intensive work while insourcing all of the customization, price/performance flexibility, and fast turnaround of highly custom orders. Detailing You Bar's journey from my mother's kitchen to an 8,200 square foot commercial warehouse, this presentation focuses on how the customer and company have become less polarized. Customization obliges the customer to become co-creator and innovator, necessitating a dialogue between customer and company which allows each to better satisfy the evolving needs of the other. Mass customization start-ups have become subject to some major interest of Venture Capital firms. In this presentation, a member of the VC communities share some insights on the market for mass customization from this perspective and why mass customization and co-creation are important drivers of successful future business models. Discuss with your fellow participants your insights from the MCPC 2011 and close the conference with three forward-looking keynotes and a review by the conference chairs that will set the agenda until the next MCPC. With an exponential growth of scientific information and wider distribution of services and data sources; integrated and intelligent search and discovery become crucial to the success of researchers. This is not possible without partnering on a platform that provides the ability to integrate workflow solutions in a seamless way, allowing a more meaningful use of the content. At Elsevier we are trying to bring a paradigm shift in partnering with researcher and developer communities on open platforms to jointly develop innovative workflow tools that are embedded deeply in user’s workflow, personalized to suit the individual needs, and geared towards driving research outcomes. New Urban Strategies - parametric tools to create urban blocks with the optimal mix of housing, commercial, retail, and services and their related infrastructure. Proactive Technology - sensors, algorithms, and interfaces to proactively encourage energy conservation, healthy behaviors, and mobility choices. In our knowledge economy, value comes from generating creative ideas and then embodying them in products for transactions. Mass Customization starts from finding out the customer value and then try to create the best combination of components that shape the physical products for customers to buy. On the hand, Open innovation invites creative idea from everyone, from partners, suppliers, customers and others to contribute for a defined purpose that is valuable. Either approach involves a critical step of transforming abstract idea to tangible products, connecting concept to physical world in order to achieve customer value. Although there are products that can be valuable in abstract forms or software, majority of products still relies physical embodiment. This presentation will like to address the interface between electronically moveable and immoveable. Some of the techniques that can be adapted to amplify the synergy between these two essential components will also be reviewed and discussed. Learn from B. Joseph Pine's latest thoughts on the Virtual Multiverse and how it creates the next generation of experiences and customization, followed by a talk by an entrepreneur who puts Joe's thoughts into real life. The physical world, bounded as it is by matter, space, and time, offers limited opportunities for value creation. With digital technology, however, the opportunities are limitless, for people can create anything they want with immaterial bits, in virtual places, without the constraints of linear time. As consumers increasingly experience the world through their digital gadgets, companies still only scratch the surface of technology-infused experiences. Joseph Pine will show you how to create new value for your customers with personalized offerings that fuse the real and the virtual. Digital technology offers limitless opportunities — you really can create anything you want — but real-world experiences have a richness that virtual ones do not. So how can you use the best of both? How do you make sense of such infinite possibility? What kinds of experiences can you create? Which ones should you offer? Apparel shoppers, especially those customizing a garment, expect to vividly and accurately “see” and even experience what a garment looks like on them. Accurate, lifelike, 360degree visualizations can provide the means, delivering inspiration and confidence for an online purchase. embodee, a start-up, adapting technologies from movie visual effects, has built the first scalable, easy-to-use platform that delivers such visualization capabilities. Two leading global brands have launched interactive systems built on the embodee platform. Hurley customers have been able to see themselves in a range of denim styles and sizes optimized for them since 2010. And now, the world's leading sports apparel and equipment brand enables athletes and coaches to see their team uniforms evolve in compellingly realistic 3D as they tweak style elements, text, fonts, stitch patterns and colors. Customer feedback, sales volumes and a steep drop in return rates are proof points that compelling visualization can propel customization and online apparel commerce forward. #MCPC2011 Keynote Session: What is the State of the Art of Research & Practice in Mass Customization & Open Innovation? Two talks providing a review of these fields to create a common understanding of the latest research and insights for practice. What makes a successful mass customization enterprise? Previous research has identified three core capabilities that allow companies to profit from mass customization: robust process design, choice navigation and solution space definition. So far, however, we did not have large-sample evidence of the impact of these capabilities on market, operational and financial performance of a company. 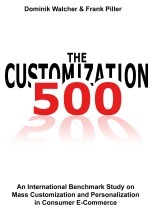 This presentation will report the latest results of an international study of 130 mass customization consumer companies operating both in Europe and in the U.S. as part of the ongoing MC500 research initiative. We find that these capabilities indeed are important for the performance of the sampled companies. To our surprise, however, focusing on one capability alone does not necessarily lead to superior market, operational and financial performance. Instead, performance differentials are explained in terms of the simultaneous presence of the three capabilities. This means that managers building a mass customization venture have to get a balanced view of investing in the three capabilities. Using empirical data and case studies, our presentation will identify implications of our study for entrepreneurs, managers in established companies, investors and VCs, and for future research. A final opportunity to discuss with your peers how to put the ideas from this day into practice, kicked-off by a presentation of a key enabler of open innovation. In his presentation, Andy Zynga will share his experiences from more than 2000 projects in open innovation at Nine Sigma. He will comment on the obstacles, tools & opportunities of open innovation, presenting recent results from a comprehensive survey on open innovation practices in global firms. He will then discuss some of the measures executives can take to tackle the challenges of profiting from open innovation. His presentation will close with a few observations to stimulate the discussion at the following round table presentation with your peers. Followed by a round table discussion. Implementing open innovation is not always easy. 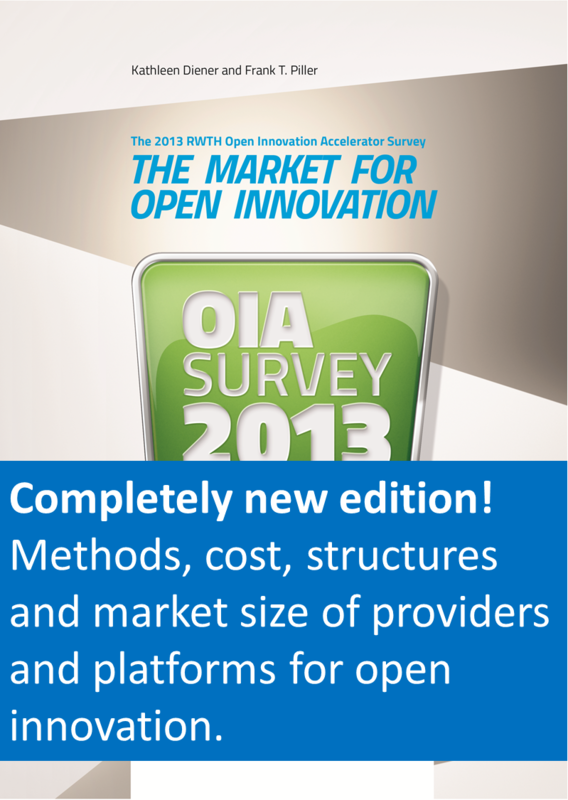 This session will provide a focused few on approaches and tools to utilize the benefits of open innovation. The presentation will share how TechShop changed the world through open access to the tools of invention… and provide a guide on practical ways to leverage this platform for your organization. Open source, the cloud, ubiquitous connectivity, search and find efficiencies, and powerful cheap processing have been driving the rapid acceleration of innovation in any field touched by computers and communication media. Now, with the advance of inexpensive access to extremely cheap, powerful and easy to use tools, the invention of physical products has never been easier, cheaper, or speedier… particularly if you have a $100 a month membership to TechShop. Mark presents five technologies prototyped and built at TechShop that have already started to change our world. He reviews the drivers of this new capability and then explores how you can leverage this new service. The concepts of open innovation, mass customization and co-creation are often used interchangeably and raise new questions and challenges that highlight the need to understand the variables in their design of mechanisms, business processes and the economic implications for organizations. Leah Hunter will introduce the consumer co-creation value chain, a model that is used to analyze and understand the mechanics of co-creation. She will further illustrate its value by sharing Idea Couture's experiences in designing co-creation strategies. What are the differences between crowd wisdom versus collective intelligence; crowdsourcing ecosystems and market co-creation; motivations and creative incentive design; task characteristics and task design? Leah's presentation will align the strategic intent of the business to a co-creation strategy. about 176,000 employees and about 80 plants worldwide, the company's automotive brands include Ford, Lincoln, and Mercury. Recently, Ford opens its research doors to external contributors, tapping into minds at universities and other organizations outside the automotive industry for the next best idea for, e.g., in-vehicle connectivity and infotronics. One of Dr. Giuli's latest open innovation projects is American Journey 2.0, which paired up Ford and University of Michigan students who were challenged to build a new class of social networking apps for the vehicle during a 12-week course. The winning app made its way into a Ford Fiesta for the ultimate test drive to California for the 2010 Maker Faire, the largest do-it-yourself event of its kind. In his presentaton, Dr. Giuli will share this and other experiences in open innovation at Ford. Social media is becoming a core platform for new product & new service development. Learn from the pioneers in this field and discuss how these approaches could work in your company. Quirky is a social product development company that brings two brand new consumer products to market each week through its online collaborative platform. Quirky’s community of almost 90,000 members weigh in on every aspect of product development from research to industrial design to branding; quirky shares its revenue with the influencers who help bring each product to life. Since its launch in 2009, Quirky has collaboratively developed more than 120 new products. Top influencers are making tens of thousands of dollars. National retail partnerships include Bed, Bath & Beyond and HSN, with its own show on the HSN Channel each month. Quirky will also have its own show premiering on The Sundance Channel on August 30th. The show, called Quirky, is about the powerful process of making invention accessible. Each one-hour episode will demonstrate how Quirky has successfully re-engineered and democratized the business of innovation. The business seminar today will focus on open innovation. We will start the day by two inspirational keynotes on companies that really "got it" in open innovation and co-creation. With every celebration comes reflection. What’s worked, what hasn’t? What can be better moving forward? Such is the case for Procter & Gamble, now marking 10 years of Connect+Develop℠, the Company’s branded approach to open innovation. In the true spirit of collaboration, P&G shares both the good and the bad they’ve experienced along the way. From the first deal, to some of the biggest, to some that simply never were, or never should have been, P&G also will discuss new open innovation frontiers and challenges on the road ahead. In many ways, co-creation has been more of a European phenomenon. The (according to Forrester Research) top three co-creation platforms (Eyeka, Jovoto and Hyve) are based in Europe and until fairly recently, many US companies have hesitated to adopt the methodology. In this presentation, Eyeka’s US Representative and their first Bay Area client, Clorox, will discuss their views on the state of co-creation among the US Fortune 500. They will reveal why companies are turning to co-creation, the internal resistance they sometimes face, and how they overcome it to use this unconventional new methodology. Their remarks will touch on some ways in which co-creation differs from traditional market research and customer insights. In a series of postings, we present some of the program highligths of the MCPC 2011 conference. The following is just one of more than 50 sessions we will host on Nov 16-19 in San Francisco, CA. The relationship of mass customization and sustainability has discussed since quite a while, but still there is very little knowledge about this field. A dedicated track at the MCPC2011 will provide a closer look on this topic. The introductory presentation to this session will be held by Ralf Reichwald (Munich University) and Kathrin Moeslein (Erlangen-Nuernberg University). Presented by Kathrin Moeslein (Erlangen-Nuernberg University) and Ralf Reichwald (Munich University). The Open School Concept -- How to Integrate Students More Effectively into the University's Business Life? Presented by Nizar Abdelkafi (Fraunhofer MOEZ) and Michael Bartl (HYVE). Successful Mass Customization not only depends on the design and proper employment of the consumer backend (configurator). Of equal importance is the organizational structure "behind the scenes" that allows a company to actually keep the promiss of individual production while still remaining profitable. In this session we will hear expert advices about the key aspects of successful MC Manufacturing and Supply Chain Management. Apparel companies that initiate Mass-Customization (MC) must identify a suitable manufacturing (assembly) strategy, which is vital for their success. Most companies that produce apparel using Mass Production (MP) systems, are interested in investigating if the existing systems can be used to implement a MC strategy. In this part Muditha Senanayake (Cal Poly Pomona) and Trevor Little (North Carolina State University) will explore the opportunity to mix MP and MC using computer modeling and simulation. Based on varying sizes of bundles and varying frequencies of products tested on simulated production lines they will present their observations of the production system performance. As a result they will present possible implementations of mix manufacturing strategy and its limitations. Mass Customization has emerged as a successful business model that can address the contemporary challenges of global markets. Although companies have adopted various levels of MC, a major challenge for firms is to efficiently design their supply chain in function of their MC offers, which also needs to support the involvement of customers in the innovation process. Marc Poulin will present a work in progress of a simulation framework that enables UAE firms to design supply chains that offer MC products and services. Using the leading edge simulation software SIMIO he will model and simulate supply chain models in the UAE. Proven by many success stories from all kinds of businesses, Mass Customization is one of the most promising concepts of our time. History shows, though, that a great theory is worth little without practical knowledge. Mass Customization is no different and hence it is of great importance to correctly understand why and, most important, how value can be created by the employment of MC. In this session we will hear about failure and success, core capabilities and different approaches to make the most out of a concept that is easy to comprehend, yet hard to master. In this session, Dominik Walcher (Salzburg University of Applied Sciences) will explain the development of a classification system for failure reasons of MC organizations based on literature review both form entrepreneurship and Mass Customization research as well as qualitative expert interviews. He will then discuss the exemplary application of this system to the Custom Foot failure case study. This part will focus on the key essentials of Mass Customization. Thorsten Harzer and Frank Piller (RWTH Aachen University) and Fabrizio Salvador (Instituto de Empresa) will give an insight in and discuss the importance of the three core capabilities of Mass Customization. Chenjie Wang (Georgia Tech) and Mitchell Tseng (Hong Kong University of Science and Technology) will present the findings of their study regarding sources of distinctive value as being perceived “unique” by individual consumers. Based on the results of their investigative work they will share their conclusion about how different business models and associated design approaches can be developed to augment the value of product design. Presenting four different approaches in personalized products they will discuss different ways of customer engagement with respect to these four values, analyzing how personalization values are addressed and identifying their unique design features, user interactions and other relevant parameters in design ecosystems. Finally, the full conference program of the MCPC has been released. There still are a few things to update and exchange, but 95% of the program are fixed! In addition to hundreds of CEOs, Founders, Directors, and Practice Leaders of the companies that apply and support mass customization, customer co-creation and open innovation successfully, many of the world's leading researchers in these areas will present latest findings in an accessible way. The interactive conference format of the MCPC 2011, supported by the proximity to the Silicon Valley / Bay Area entrepreneurship and investment community, allows for deep interaction and networking between the participants. There are more than 150 presentations, panels, or workgroups on the program! Join us in a lively exchange on best practices, case studies, success factors and open business models that focus on the top management and leadership issues and / or provide deep insights into specific design parameters of the tools and technologies behind open co-creation and mass customization. Before the main conference (Nov 18-19), a special business seminar provides executable frameworks for the management of mass customization and open innovation and a focused view on future topics. Please register as soon as possible, as seats are limited and many are already taken! The conference hotel is conveniently located between San Francisco Airport (SFO) and Silicon Valley and allows for very efficient travel. We hope to meet you in San Francisco in late Nov ! Open Innovation has developed far beyond the state of a niche-method practiced only by a selective few entrepreneurs. With the evolution of the internet to "Web 2.0" the chances offered by employing this global meeting place to integrate consumers into the innovation process has been understood long since by large and small companies alike. 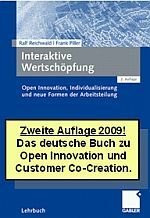 Still the capabilities of Open Innovation are not been used to their fullest by many who could profit from its broader use. In sessions 6.4 and 7.4 we will take a look at what is possible and how it can be achieved. The phenomena MC, OI and OSI do not only stand for interactive business models but also represent the radical opening of the value creation chain on an unprecedented scale. Doris Blutner (RWTH Aachen University) will explain how a generalized inclusion for people to participate in the designing process develops into a new paradigm of the genesis of innovations, which equals a discovery procedure, which – through its collective action – stirs up the economic competition, and whose products cannot be attributed to national origin any longer. Transformation in modern society is typified as a changeover from uncomplicated/simple/first modernity to reflexive/automatic/late modernity. Reflexive modernization is based on the idea of a risk society, forced individualization and multidimensional globalization which deeply manipulates the context for open innovation. Since managing uncertainty can be regarded as a core practice of successful innovation management, Robert Freund and Zoran Anisic will discuss open innovation from the second modernity point of view and shows new ways of dealing with uncertainty. In this presentation Astrid Lassen, Alexia Jacobsen, Sören Poulsen, Sören Wandahl and Henrik Sörensen (Aalborg University) will particularly focus on determining how to engage a willing but largely inexperienced network of companies in user-driven innovation. They will identify essential antecedent of user driven innovation and provide insights into how to stimulate and develop emerging capabilities of open innovation, especially in an industrial context. In this part Norman Mueller (Anglia Ruskin University) will aim to extend the understanding about the interface of organizational behavior/development and Open Innovation, specifically about how OI is implemented and adopted within multinational companies (MNCs). He will especially focus on human interactions in connection with change processes, taking an aggregated view on inter-dependencies between departments within MNCs. On Becoming a User-Driven Firm: Slow-Cooked for Extra Goodness? Mika Westerlund (Aalto University) and Seppo Leminen (Laurea University of Applied Sciences) will reveal what it takes for established firms to shift from traditional provider-driven innovators into modern-day user-driven co-creators. Based on firms’ experiences they identified four distinct phases of becoming a user-driven firm which they will describe and analyze. Their presentation will be completed by a discussion on organizational challenges that a firm faces on the sometimes long way towards an open organization. Due to a lack of respective research Small and Medium Enterprises currently have no instrument helping them to decide whether they should adopt Open Innovation. Jessica Koch, Eckart Hauck and Ingrid Isenhardt (RWTH Aachen University) will present their research on the topic of the efficiency of OI for SMEs and talk about the development of an instrument that can help SMEs to decided whether employing OI is worthwhile or not.